Standard audio jack works with smartphones, MP3 players and laptops . Including a pair of loud speaker, gem stikers and markers. This speaker is with standard audio jack works with smartphones, MP3 players and laptops . 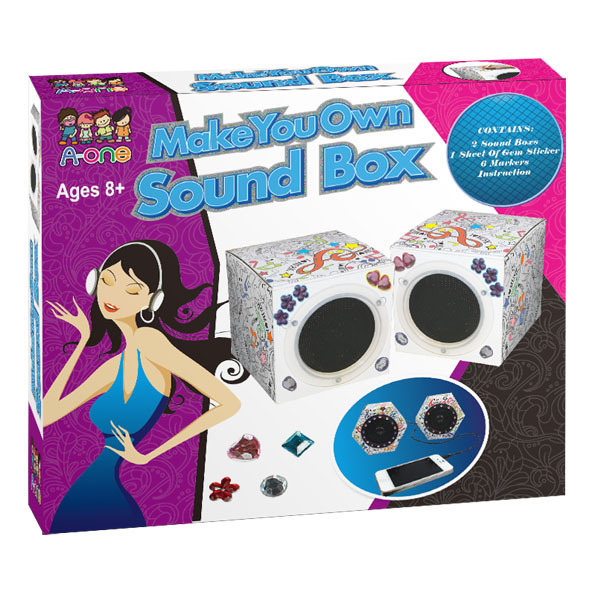 Children could paint on the pre-printed card and use gems to decorate the speaker.